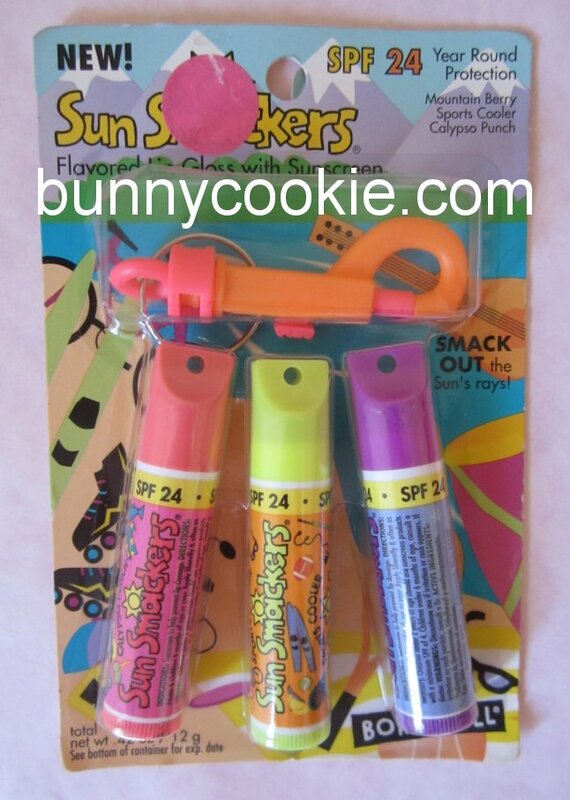 The blog is overdue for a vintage spotlight post! 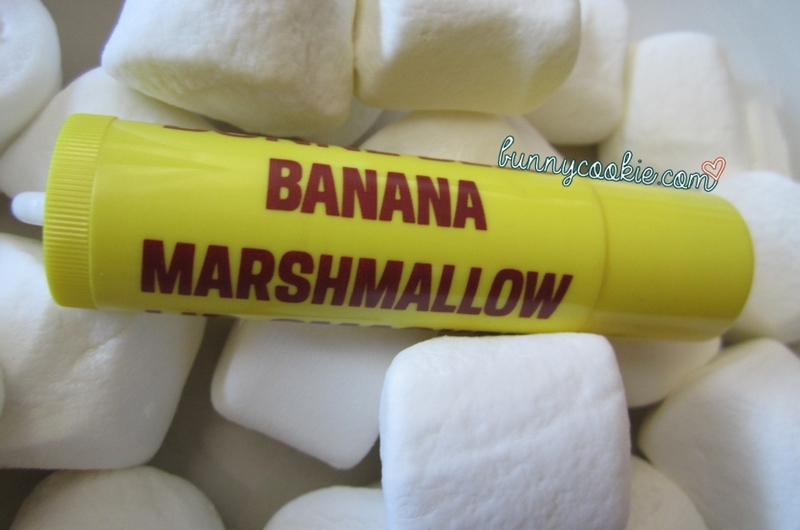 This time around I have chosen Banana Marshmallow, a vintage biggy Lip Smacker that perfectly captures the amazing delicious-to-unique ratio the old flavors perfected so long ago. I know I say this probably 99% of the time but this really is one of the all-time best! Look at that brown font and unrelenting yellow tube! Oh and the necklace hook on the bottom that so many smackers of that era had 😀 It really highlights the design aesthetic of the time. 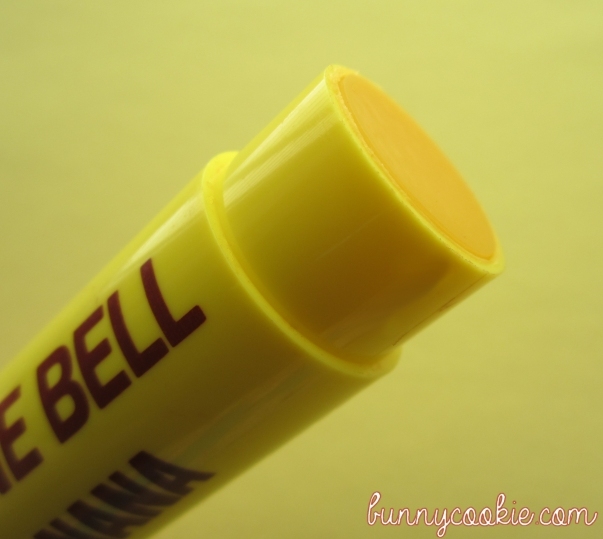 Also props to Bonne Bell on the scent, because even though marshmallow tends to be one of their weaker flavors (in that it loses hold of its scent pretty quick) this decades old smacker smells like it rolled off the factory line yesterday– in fact scent-wise it actually leans more in marshmallow’s favor. 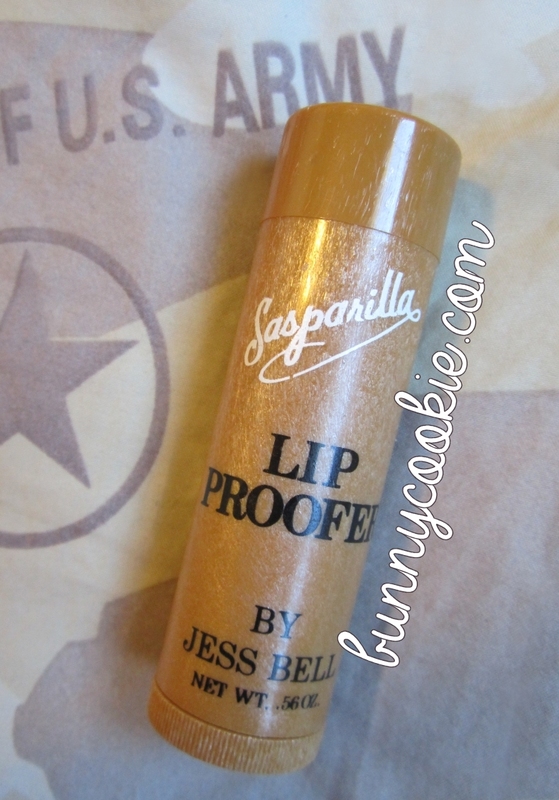 The Sasparilla Lip Proofer was a biggy smacker made by Jess Bell in 1976 that was based on sarsaparilla, a soft drink staple in old western movies and today a popular drink in many other countries. If you’ve never had it, sarsaparilla is in the root-beer family but it has its own unique set of flavors such as licorice, vanilla, and mint. 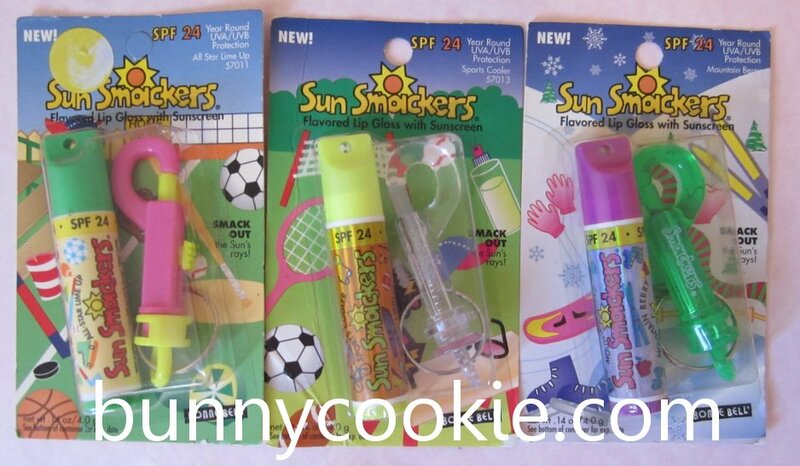 This smacker (or rather, lip proofer) was actually made to appeal to the boy demographic. It has a solid brown but uniquely textured (faux wood grain?) tube that you can see in the pictures – it’s also shorter than the standard biggies at 0.56 oz instead of 0.60 oz. 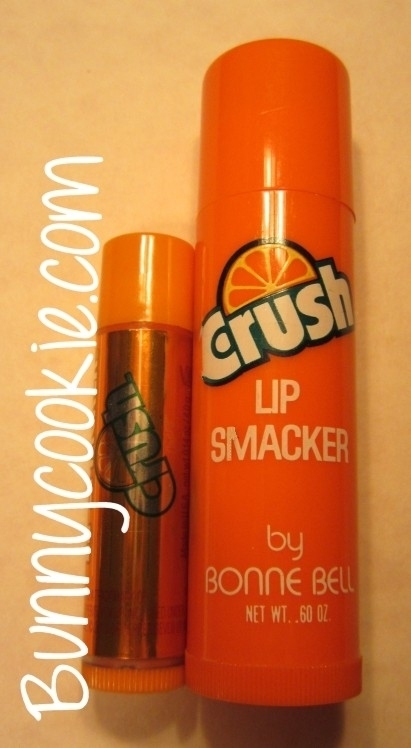 It uses a twist-on cap like many of the early Lip Smackers. This biggy still retains a strong smell and I think it is reminiscent of a spicy root beer with a hint of mint 🙂 It’s a really cool piece of Bonne Bell history. I wonder how it did with boys? 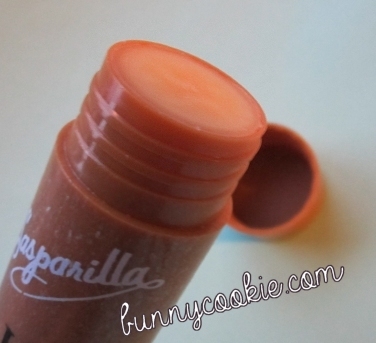 It’s also curious that they went with the phonetic spelling of sarsaparilla when they named the balm. 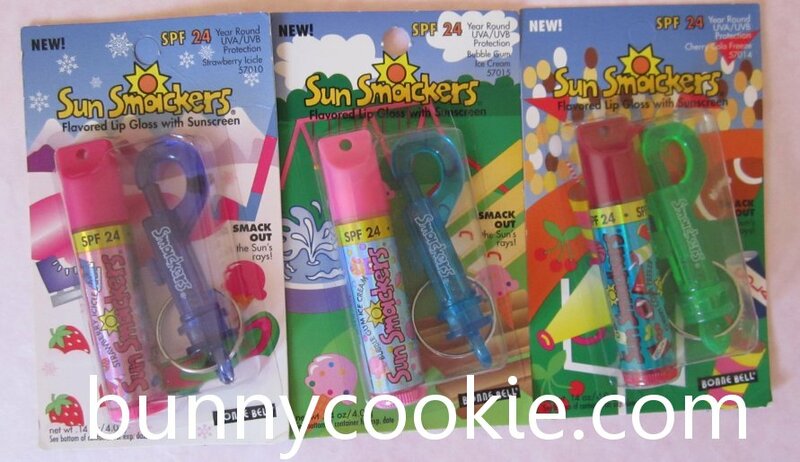 In celebration of summer being around the corner I thought I’d post pictures of the old Sun Smackers! I’ll try not to be too nostalgic but the artwork on these are just fantastic, right? Here are the trio packs. These have matte labels and an expiration date of 1999. Make sure to click the pictures to take a closer look! My favorite is the second set, check out those roller-blades. And here are some of the same flavors in single packs, this time with a metallic label and an expiration date of 2001-2002. 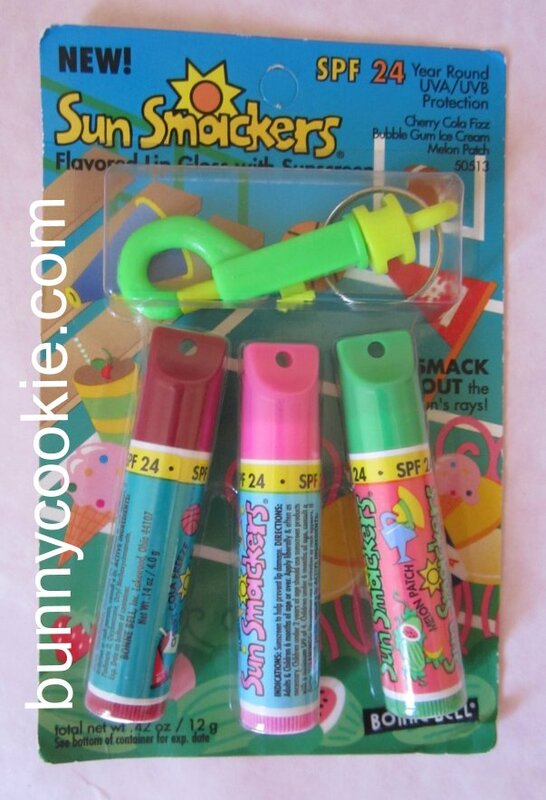 The trio includes a Lip Smacker, a delicious jumbo Crush lip gloss (0.27 oz!) 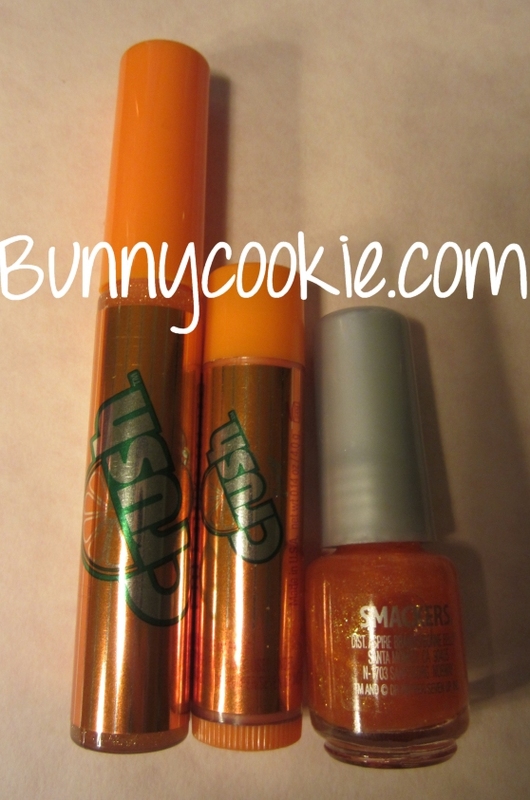 with micro-glitter, and a mini sparkly orange nail polish which is surprisingly really adorable. It’s a really cute set and I’m sure it’ll hit all the big box stores if it hasn’t already. Has anyone else seen it and if so, what store? 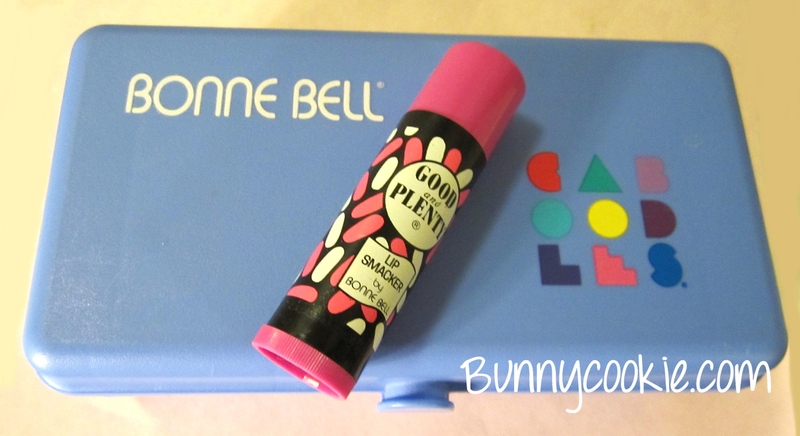 Lip Smacker – Good and Plenty – bonus vintage Caboodles case! 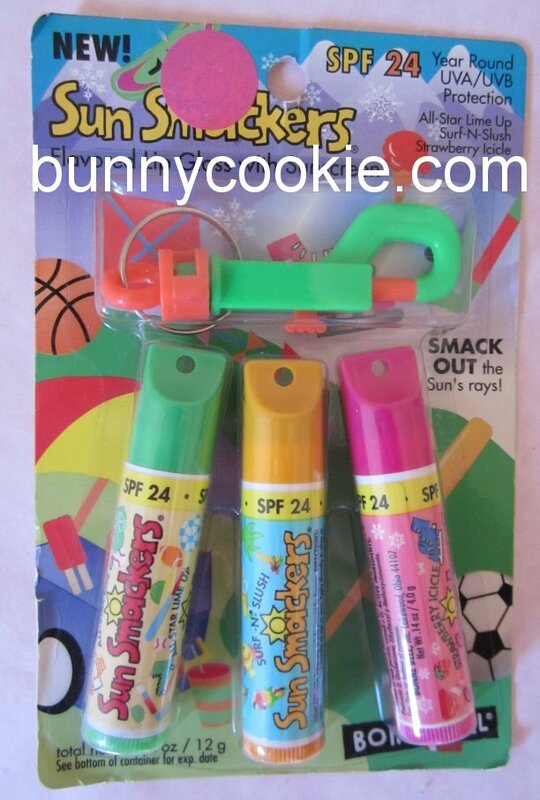 The vintage Good & Plenty biggy Lip Smacker was yet another iconic brand pairing in smacker history. 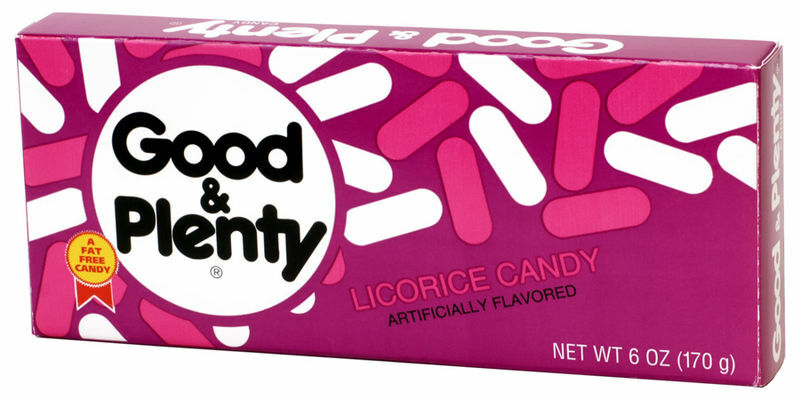 If you’re not familiar with them, Good & Plenty’s are a spicy black licorice candy with a hard coating, making it a perfect match for Bonne Bell’s unique line. BB did great with it because its formula still smells strongly like the real thing. While it saw a few different design changes in its day, it always kept a similar scheme to match the candy box. 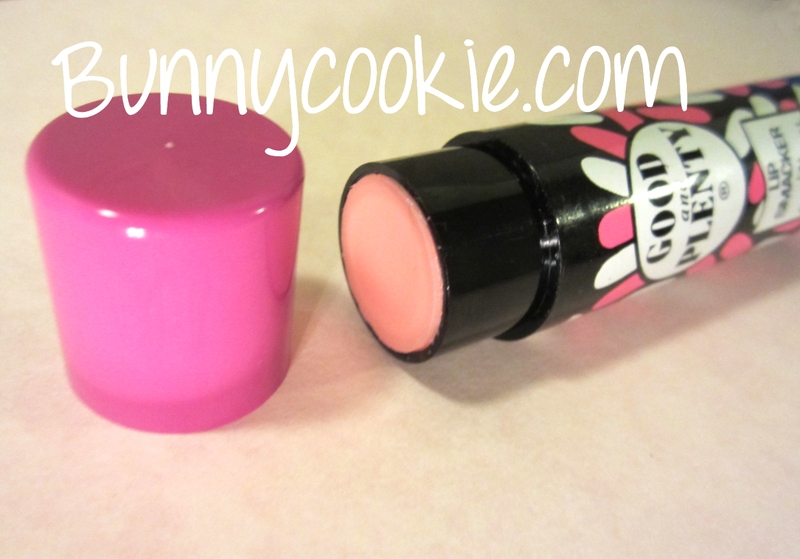 What I like the most is that even though it’s black licorice flavored the balm is pale pink 😀 Too cute! It seems that people either love or hate black licorice. I like it, what about you? Would you buy this flavor if it were available today?